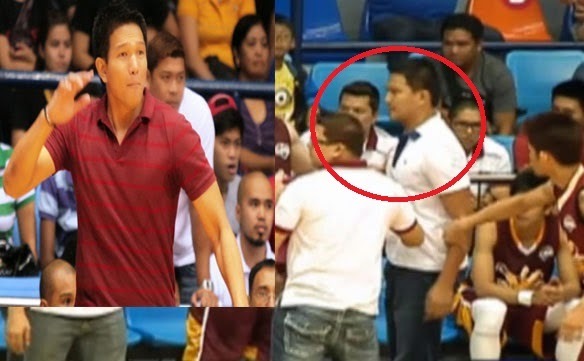 Alvin Pua, the coach of the D-League’s Cagayan Valley Rising Suns got fined with P500,000 and got banned for lifetime by PBA because he punched a referee during a game last May 15, 2015, Friday. Benjie Montero was the referee of the game between Cagayan Valley and Livermarin when Pua did the misconduct. Chito Salud, the League commissioner said in an interview, "There is plainly no room for hotheads and hooligans in basketball, let alone other sports. Mauling a game official can never be justified in any way." Moreover, this wasn’t the first time that Pua was involved in incidents similar as this. Chito Salud narrated Pua’s history of having brushes and physical altercations with the referees. Pua has already been sanctioned a number of times with hefty fines and suspensions from the game due to his misbehavior and physically contacting the referees during official and tune-up games. His misdemeanor last Thursday was definitely one too many for now he got a lifetime ban. Salud continued, “This is the last straw. In the highest interest of sportsmanship and the norms of human decency, the league is hereby imposing a lifetime ban on Coach Pua from all PBA related activities for mauling a referee and for his recalcitrant and incorrigible demeanor." The Philippines’ basketball federation, Samahang Basketbol ng Pilipinas was also urged to ban the D-League’s coach as well from other basketball tournaments to prevent Pua from doing such again. As for the referee, Montero, reports say that he was rushed to the hospital after the game due to the wounds inflicted from Pua’s punches. Moreover, he will be given legal assistance by the league if he ever chooses to file charges against Pua in court. It isn’t just Pua who got fined. Frederic Collado, the Cagayan team manager was also fined with an amount of P20,000 for criticizing the quality officiating trying to justify Pua’s misconduct.